The Blitzboks have won the Vancouver Sevens. 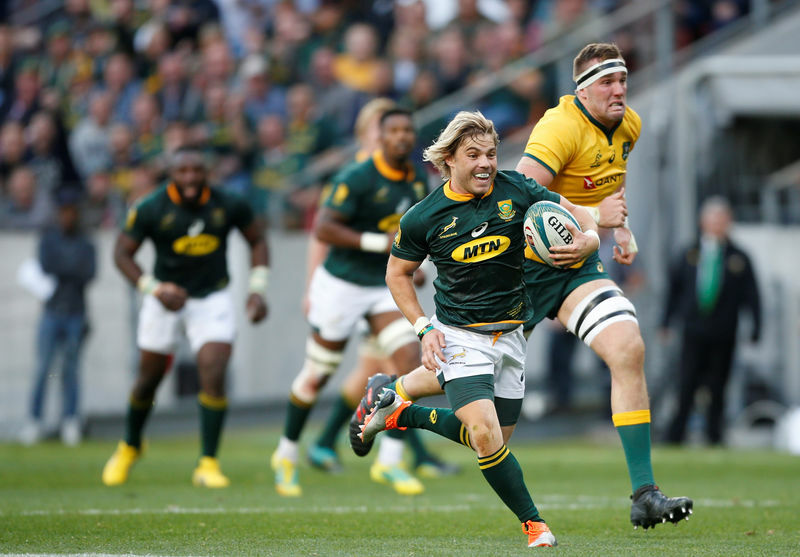 South Africa has beaten France 21-12 in the final, after wins over Argentina and Fiji on the last day of the tournament. Selwyn Davids was player of the final and along with JC Pretorius was named in the team of the tournament. South Africa are now fourth on the table, an important spot because the top four at the end of the series will automatically qualify for the Tokyo Olympics next year. Coach Neil Powell was enormously pleased with the improvement his team displayed. “It’s a case of guys understanding their roles and understanding where they fit in the system, not just on the field but off the field as well. We always said when there’s smiles on the faces of this team, we know they’re in a good space, and they’re going to do well. So basically our weapon is a melody, if the guys start singing and they start dancing, we know they’re in a good space and that’s what happened this week,” says Powell. The post Blitzboks new champions of Vancouver Sevens appeared first on SABC News – Breaking news, special reports, world, business, sport coverage of all South African current events. Africa's news leader..